Non-hazardous, non-poisonous, non-toxic, non-fuming, contains no bleach or solvents, leaves no residue, is environmentally safe and meets or exceeds child safe guidelines. Boom. Sometimes, you really need a little help getting that burnt-on, baked on mess off your glass stove top or oven. And how about those stains that emerge in your sink or on your Formica counter tops? How do you clean up those messes without the use of harsh chemicals? Well, we have developed a revolutionary product that will do that and much more. Our lemon scented Professional Formula Cleaning Paste™ is a hard surface cleaning paste that cleans like those white abrasive powders (i.e. Comet, Ajax, etc.). We have taken “Cleaning Green” to a new level. 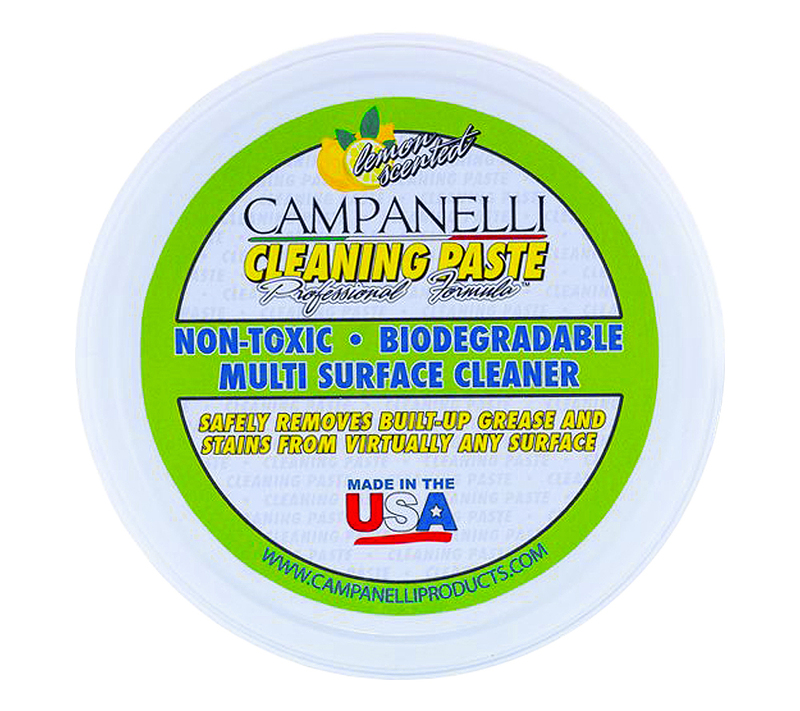 SAFELY clean stubborn stains and marks from stainless steel, copper cookware, aluminum cookware, Formica, tile, chrome, linoleum, porcelain, glass, patio furniture, cement, and more. When it comes to “Green” products that actually work, we have got you covered. • SAFE. Non-Toxic, Non-Hazardous, Non-Poisonous, Non-Fuming, and Meets or Exceeds Child Safe Guidelines. • PROFESSIONAL FORMULA derived from a natural, non-abrasive mineral that cleans and scrubs without scratching most surfaces! • CLEAN GREEN. Contains NO Bleaches or Solvents, is Non-Caustic, and is lemon scented. • MULTI-SURFACE. Cleans cookware, Formica, tile, chrome, linoleum, porcelain, glass, patio furniture, cement, stainless steel sinks & more.